Economists used to think below-zero interest rates were impossible. Necessity (as central banks see it) is the mother of invention, though; and multiple central banks now think negative rates are a necessary step to restore growth. Are they right? Will negative rates pull the global economy out of its funk? Probably not; but for better or worse, several central banks are already below zero. The Federal Reserve just sent its clearest signal yet that it is headed that way, too. The Fed has warned banks to get ready. We had all better do the same. The idea of negative rates isn’t new; what’s new is the willingness to try them out. The Ben Bernanke quote above comes from a November 2, 2009, Foreign Policy article in which the Fed chairman wrestled with how to keep inflation at the “right” level in a weak economy. Set aside the question of whether there is any “right” level of inflation. As of six years ago, the head of the world’s most important central bank thought no one would ever lend at a negative interest rate. We now know he was wrong, at least with regard to Japan and most of Europe. Central banks there have instituted negative rate policies, and people are still borrowing and lending. Their point was less about the theoretical wisdom of NIRP and more about the actual potential consequences. They believed we would see a variety of odd responses to a very odd policy situation. All kinds of incentives would reverse, for starters. Under negative deposit rates, buyers would want to pay their invoices as soon as possible, while sellers would want to delay receiving cash as long as possible. Think about your credit card bill. If you normally spend $10,000 a month, your best move would be to send the bank that much money before you spend it, then draw down the resulting credit balance. The bank would no doubt try to discourage this practice. Could they? We don’t know. If rates go negative, we should expect to see financial innovations that emulate cash in more convenient forms. One obvious candidate is a special-purpose bank that offers conventional checking accounts (for a fee) and pledges to hold no asset other than cash (which it immobilizes in a very large vault). Checks written on accounts in a special-purpose bank would be tantamount to negotiable warehouse receipts on the bank’s cash. Special-purpose banks would probably not be viable for small accounts or if interest rates are only slightly below zero, say -25 or -50 basis points (because break-even account fees are likely to be larger), but might start to become attractive if rates go much lower than that. The consequences of such banking would be more than theoretical. If enough people wanted to use these special-purpose banks, demand for physical cash would go through the roof. There simply wouldn’t be enough to go around if it just sat in vaults instead of circulating. Furthermore, if the vaulted cash in these banks reduced deposits in normal loan-making banks, the whole banking system might grind to a halt. That being the case, I suspect the Fed would prohibit banks from operating this way – but they can’t stop people from hoarding cash under their mattresses. The one thing they could do is eliminate physical cash. Denmark, Sweden, and Norway are already considering ways to do so. Even more ominously, Bloomberg reported on. 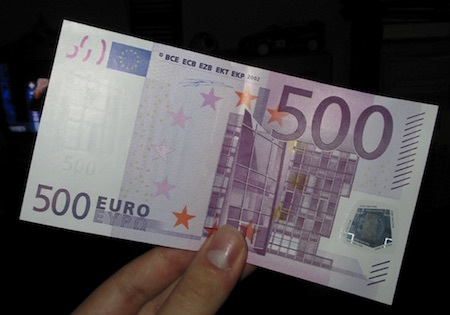 Feb. 9 that a move is afoot for the European Central Bank to get rid of 500-euro notes, the Eurozone’s largest-denomination bills. They portray this move mainly as a crime-fighting measure, but it would clearly make cash hoarding much more difficult. And if Larry Summers and a few other well-known economists like Ken Rogoff have their way, we will see the demise of the $100 bill in the US. You thought you were just carrying those Ben Franklins around for convenience, not realizing that they make you a potential drug dealer in some people’s eyes. And of course, hoarding cash would undermine the Fed’s goal of fighting deflation. Holding cash is by definition deflationary. All of the above is just speculation at the moment. We don’t know how deeply negative rates would have to go before people change their behavior. So far the negative rates in Europe and Japan apply mainly to interbank transactions, not to individual depositors or borrowers. Unless of course you are buying government bonds. That said, we’ve seen a clear tendency on the part of central banks since 2008: if a crazy policy doesn’t produce the desired results, make it even crazier. I believe Yellen, Draghi, Kuroda, and all the others will push rates deep below zero if they see no better alternatives. And my best guess is they won’t. Turns out negative rates aren’t exactly new. My good friend David Zervos, chief market strategist for Jefferies & Co., sent out a note this week pointing out that many “real,” inflation-adjusted rates have actually been negative for years. Such rates have thus far not produced the kind of reflation that central banks want to see. David thinks the ECB and BOJ should push nominal rates down to -1%, launch new quantitative easing bond purchases of at least $200 billion per month, and commit to do even more if their economies don’t respond. Is Zervos losing his mind? No, he actually makes a pretty good case for such a policy – if you buy into his economic theories, which I discuss in the second part of this letter. (Over My Shoulder subscribers can read Zervos’s note here.) It is painfully clear to most of us that what the central banks have done thus far has not worked. I have a hard time imagining that a major NIRP campaign will help, but I’ve been wrong before. Former Minneapolis Fed President Narayana Kocherlakota, who was for years the FOMC uber-dove, says going negative would be “daring but appropriate.” He has a number of reasons for this stance. In a note last week, he said the federal government is missing a chance to borrow gobs of money at super-attractive interest rates. Kocherlakota would like to see the Treasury issue as much paper as it takes to drive real rates back above zero. He would use the borrowed money to repair our rickety infrastructure and to stimulate the economy. It is an appealing idea – in theory. In reality, I have no faith that our political class would spend the cash wisely. More likely, Washington politicians would collude to distribute the money to their cronies, who would build useless highways and bridges to nowhere. The taxpayers would end up stuck with more debt, and our infrastructure would be little better than it is now. The fact that this is a “monumentally” bad idea doesn’t mean it will never happen. There’s an excellent chance it will happen. Yellen and the Fed are clearly looking in that direction. Yellen might face one small problem on the road to NIRP: no one is completely sure if the Fed has legal authority to enact such a policy. An Aug. 5, 2010, staff memo says that the law authorizing the Fed to pay interest on excess reserves may not give it authority to charge interest. This potential snag is interesting for a couple of reasons. With last month’s release of this memo, we now know the Fed was actively considering NIRP less than a year after Bernanke himself said publicly that “no one will lend at a negative interest rate.” Meanwhile, some at the Fed were clearly examining the possibility. What else was happening at the time? The bond-buying program we now call QE1 had just wrapped up in June 2010. The Fed launched QE2 in November 2010. This memo came about because the Fed realized it needed to do more and was considering options. QE2 apparently beat out NIRP as the crazy policy du jour. In the spirit of prudent planning we always try to look at what options we would have available to us either if we needed to tighten policy more rapidly than we expect or the opposite. So we would take a look at [negative rates]. The legal issues I'm not prepared to tell you have been thoroughly examined at this point. I am not aware of anything that would prevent [the Fed from taking interest rates into negative territory]. But I am saying we have not fully investigated the legal issues. We know the Fed was investigating the legal issues as long ago as 2010. I would be shocked to learn that they did not investigate those issues thoroughly in the six subsequent years. Various Fed officials – including Yellen – have openly speculated about NIRP. The Fed’s legal team should be disbarred for malpractice if it hasn’t fully investigated yet. I think Yellen’s testimony was a way to deflect the potential controversy as long as possible. I believe the Yellen Fed will telegraph the markets about negative rates prior to implementing them, but evidently Yellen feels it is too soon to send that signal now. Of course, Yellen also says she is “not aware of anything that would prevent” a NIRP move. So she may do it and then blame her lawyers if someone cries foul. By then the policy would be in place and probably irreversible. In Washington, forgiveness comes easier than permission does. In the same testimony, Yellen hinted that the previously forecast March rate hike is probably off the table now. We will get new “dot plot” forecasts, though. It will be interesting to see how dovish they are. As I’ve said, I am firmly convinced that the Fed will not raise the federal funds rate even to 1% this year. December may well have been the last hike we will see for some time. I can see the Fed holding steady for several months. And they are clearly getting ready to introduce negative rates during the next recession. They are already telling banks to get ready for them, too. The Dodd-Frank Act requires the Fed to conduct yearly “stress tests” on major banks. They do this by giving the banks a set of hypothetical economic scenarios. They released this year’s scenarios on Jan. 28. The “severely adverse” scenario instructs banks to test their systems for a deep recession, a 10-year Treasury yield as low as 0.2%, 5-year notes yielding 0%, and a -0.5% 3-month T-bill yield from Q2 2016 through 2019. Is this “severely adverse?” It’s far less adverse than what Japan has already experienced. BOJ purchases have driven Japanese government bond yields negative 10 years out the curve. Rates are also negative far out the yield curve all over Europe, even in countries that don’t deserve such rates, let alone midterm rates with even a one or a two handle. 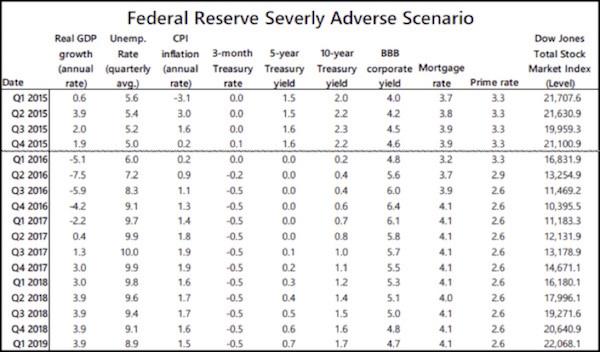 The stress test scenarios aren’t a forecast, per se, but they mean the Fed at least sees those conditions as possible. The whole exercise is pointless if the scenarios could never happen. I think this stress test scenario is the clearest sign yet that the Fed views NIRP as a legitimate alternative. It doesn’t mean NIRP is guaranteed. I believe Yellen when she says their policy is “data-dependent.” They are no more prescient about the future than the rest of us are. All they can do is look at the data and try to respond appropriately. I don’t envy them that job. I think the Fed is right now in a position much like the one that was portrayed in that 2010 staff memo. They see their last big move as not having had the desired effect and are considering a new set of options. NIRP is on their list. If Europe’s experience means anything, it seems likely our banks aren’t ready yet. Consider this Mar. 4, 2015, Wall Street Journal story. Widespread negative interest rates, once only a theoretical possibility, have become a real-life problem for Europe’s financial system. From Sweden to Spain, banks, brokers and other financial firms are grappling with technical and legal glitches thrown up by negative rates, forcing them to redesign computer systems, tear up spreadsheets and redraft legal contracts. The issue echoes the scrambles around the Year 2000 computer bug and the launch of the euro, when some bank systems couldn’t handle the introduction of a new currency, said Kevin Burrowes, head of U.K. financial services at PricewaterhouseCoopers. A handful of malfunctioning computer programs can cause “huge problems,” while working around problems manually makes more controls necessary and increases the risk that something could go wrong, Mr. Burrowes said. Preparing for NIRP is a far smaller challenge than preparing for Y2K, which required years of reprogramming and hundreds of billions of dollars, but it is still a huge project. Some reports say European banks are still dealing with the programming issues. And technology is only part of the problem. Think of all the contracts and other legal documents that might need rewriting and renegotiation. If nothing else, the Fed just stimulated the securities and contract law businesses. One small example from my personal experience: I have been involved in the management of several large commodity funds over the past 25 years. Back in the day, commodity funds had a significant advantage in that they could put 90% of their money into short-term government bonds to generate the capital for their futures contracts. This interest offset a lot of their fees in the ’80s and ’90s. Not so much today. I suspect that many of the organizational documents required still state that such funds will use short-term Treasuries as their cash base. The Fed is specifically warning banks, but NIRP will affect the whole economy. If you own any kind of business or you are an active investor, I expect that NIRP will create significant headaches for you. Are you ready? Most of us have no idea whether we’re ready, but we might be able to find out. Here’s a simple test. Go to whatever accounting software or spreadsheet program you use, find the interest rate setting and see if it will let you enter a negative number. If it won’t accept a negative rate at all, now might be an excellent time to update your software. If the program does let you show a negative rate, dig a little and see how that rate affects the rest of your bookkeeping. Most of us have created numerous Excel spreadsheets. You know that if you get your programming off a little bit, you end up with ##### signs in some of the cells. When you enter negative interest rates into your software, you may find similarly weird things happening. They could be good-weird or bad-weird, but in either case you might want to consult your brokerage firms, investment advisors, accountants, and tax advisors about possible consequences. 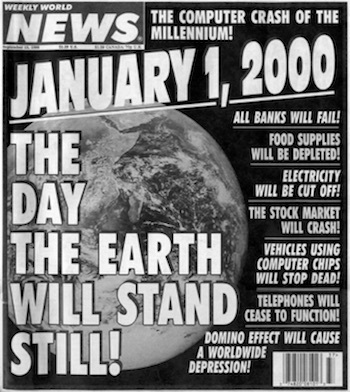 I didn’t even mention the Fed’s stock market scenario in the right column above. It shows the Dow dropping almost to 10,000 by the end of this year and recovering very slowly. In a world where anything is possible, I suppose it is prudent to ask what if questions. I do not see the Dow’s dropping 10,000 points this year, but in a deep recession? That plunge would not be out of the realm of historical precedent. If banks are planning for adverse scenarios, it would be a good idea for you to do so, too, even if you think there is no chance in hell those scenarios will play out. Contingency planning is simply prudent management. Don’t let a recession catch you without a plan. The problems posed by negative rates are mostly practical in nature, but they come with some deeply disturbing side effects. In the discussion above I didn’t venture into the theoretical problems of misallocation of capital, the negating of Schumpeter’s creative destruction cycle, the even more intense repression of savers and retirees, and the absolute devastation negative rates would wreak up on pension, endowment, and insurance company portfolios. So what would make central bankers around the world agree that negative rates are a solution to our current economic malaise? And that, with all their known negative consequences, not to mention their unknown unintended consequences, negative rates are better than the alternative? I have been trying to devise an explanation of the negative rates proposition that most people can grasp by likening prevailing economic theories to a religion. Everyone understands that there is an element of faith in their own religious views, and I am going to suggest that a similar act of faith is required if one is believe in academic economics. Economics and religion are actually quite similar. They are belief systems that try to optimize outcomes. For the religious that outcome is getting to heaven, and for economists it is achieving robust economic growth – heaven on earth. I fully recognize that I’m treading on delicate ground here, with the potential to offend pretty much everyone. My intention is to not to belittle either religion or economics, but to help you understand why central bankers take the actions they do. This explanation will need a little set-up. I have noted before, in an effort to be humorous, that when you become a central banker you are taken into a back room and given gene therapy that makes you always and everywhere opposed to deflation. Actually, this visceral aversion is imparted during academic training in the generally elite schools from which central bankers are chosen. This is our heritage; it’s learning derived not only from the Great Depression but from all of the other deflationary crashes in our history, too, not just in the US but globally. When you are sitting on the board of a central bank, your one overriding rule is never to allow deflation to occur on your watch. No one wants to be thought responsible for bringing about another Great Depression. And let’s be clear, without the radical actions taken in 2008–09 to bail out the banks, drop rates to the zero bound, and institute quantitative easing, we would likely have been facing something similar to the Great Depression. While I don’t like the manner in which we chose to bail out the banks, some form of bailout was a necessary evil. Think deflationary depressions can’t happen today? Clearly, they can. Greece, for all intents and purposes, has sunk into a massive deflationary depression. That reality is not necessarily reflected in the prices of their goods, which are denominated in euros. No, the deflationary depression in Greece is in their labor market. Normally, when a sovereign country gets into financial trouble (generally because of too much debt), it will devalue its currency so that the prices of products it imports go up and labor costs and the prices of products it sells abroad go down. But since Greece could not devalue its currency (the euro), it was essentially forced to allow its labor costs to fall drastically. Since it is basically impossible to go to everyone in Greece and say, “You need to take a 25% cut in your pay, even though the prices of everything you’ll be buying will still be in euros,” the real world simply produced massive Greek unemployment – precisely what you would expect in a deflationary depression. Greece will likely continue to suffer for a very long time, whereas if the Greeks had left the euro, defaulted on their debts, and devalued their currency, they would likely be enjoying a quite robust recovery. Greece’s present is a possible near future for other countries in Europe (Portugal is likely to be next, and Italy will surprise everyone with its severe banking problems), which is why the European Central Bank is so desperately fighting the deflationary impulse embedded in the very structure of the European Union. Now, the United States is clearly not Greece. However, we are subject to the same laws of economics. By definition, recessions are deflationary. Whenever we enter the next recession, we are going to do so with interest rates close to the zero bound. Most of the academic research both inside and outside the Fed suggests that quantitative easing, at least in the way the Fed did it the last time, is not all that effective. If you are sitting on the Federal Reserve Board, you do not want to allow deflation to happen on your watch. So what to do? You try to stimulate the economy. And the one tool you have at hand is the interest-rate lever. Since rates are already effectively at zero, the only thing left is to dip into negative-rate territory. Because, for you, allowing a deflationary malaise to set in is a far worse thing than all of the potential negative consequences of negative rates put together. It’s a Hobson’s choice; you see no other option. Let’s do a little sidebar here. There’s lots of discussion in the media of the possible moves the Federal Reserve could make. Some people talk about the Fed’s buying the government’s infrastructure bonds, or buying equities or corporate bonds, or even doing the infamous “helicopter drop” of money into outstretched consumer hands. Those are not legal options for the Fed. The Fed is actually fairly restricted in what it can purchase. All of these outside-the-box transactions would require congressional approval and amendment of the Federal Reserve Act. I can tell you that there is almost no stomach in the leadership of Congress or at the Fed to bring up the Federal Reserve Act for congressional action. Everyone is worried about potential mischief and political sideshows. 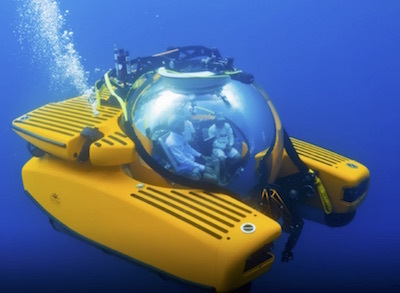 Quite frankly, if the Federal Reserve decides that it wants to do more quantitative easing, I would much prefer that Congress authorize the Fed to purchase a few trillion dollars of 1% self-liquidating infrastructure bonds – or, as a last resort, to do an actual helicopter drop. The infrastructure bonds would create jobs and give our children something for their future, a much healthier outcome than the ephemeral boosting of stock and bond prices yielded by the last rounds of quantitative easing. In those instances, the benefits of QE went primarily to the well-off. But I digress. The current belief in vogue is that another way to increase consumption is to get businesses and consumers to borrow money and spend it. Hopefully, businesses will invest it and create new jobs, which will in turn enable more consumption. One way to stimulate more borrowing is to lower the cost of borrowing, which the Federal Reserve does by lowering interest rates. The opposite is also true: if inflation is a problem, the Fed raises rates, taking some of the inflationary steam out of the economy. How would negative rates work? The Federal Reserve would charge a negative interest rate on the excess reserves that banks deposit at the Fed. Note this is not a negative interest rate on all deposits, just on “excess reserves” on deposit at the Fed. An excess reserve is a regulatory and political concept that is a necessary feature of the fractional reserve banking systems of the modern world. Banks are required to maintain a reserve of their assets against possible future losses from their loan portfolios. The riskier the assets the banks hold, the less those assets count towards the required level of reserves. Reserves are required to keep a bank solvent. Banks are closed and sold off when their reserves and capital are depleted below the allowed levels. Any reserves in excess of the regulatory requirements are counted as “excess.” The theory is that if the central bank charges banks interest on their excess reserves, the banks will be more likely to lend that money out, even if at a lower rate, in order to at least make something on those reserves. Right now, banks are paid by the central bank for their excess reserves on deposit. Given the level of excess reserves at the Fed, these interest payments amount to multiple billions of dollars that are fed into the banking system each quarter; and that is one of the reasons why US banks have been able to get healthier in the wake of the Great Recession. Consumers and businesses would borrow this cheaper money from the banks and presumably spend it or otherwise put it to use, thereby stimulating the economy and vanquishing the evil of deflation. In theory, as the economy recovers, interest rates are allowed to rise back above the zero bound. Of course that was the theory when we went to zero rates some six years ago. At some point the economy would recover and the Fed would normalize rates. Except the economy never got to a place where the Fed felt comfortable raising rates even minimally – until last December. And now the high priests of the FOMC are signaling that it might be longer than they originally thought before they swing their incense orbs and raise rates again. There are some (including me) who would argue that, rather than focusing on consumption, monetary and fiscal policy should focus on increasing production and income. By lowering (repressing) the amount of income savers get on their money, you push savers into riskier assets. That is generally not what you tell people to do with their retirement portfolios, (nor can we overlook the fact that the country is getting older). Thus if interest rates are artificially low because of Fed policy, that reduces the amount of money retirees have to spend. The Federal Reserve and central banks in general seems to think it’s better to have consumers borrow than save. It’s a Keynesian conundrum. If nobody spends and everybody saves, the economy slows down. While it may be a good thing for you individually to save and prepare for your retirement, if everybody does so at the same time the economy plunges into recession. Now let’s get back to the intersection of economics and religion. There are multiple competing economic theories on the government’s role in monetary policy making. The operative word is theories. Each is an attempt to describe how to manage a vastly complex modern economy. Some see too much debt as the cause of our current malaise. Others think that lowering taxes would allow consumers and businesses to keep more of their income and hopefully spend it. In the not too distant human past, shamans and soothsayers conjured theories about how the world worked and how to predict the future. Some examined the entrails of sheep, while others read meaning into the positions of the stars (or whatever their prevailing theory dictated) and told leaders what policies they should pursue. An astute priest would pretty quickly figure out that the best route to priestly job security was to foretell success for the politician’s/king’s/tribal chief’s pet policy course. In today’s world, economists serve exactly the same function. They skry their data sets – a latter-day version of throwing the bones – and then, based on the theory by which they believe the data should be interpreted, they confirm the orthodox policy choices of their political masters – and so their careers prosper. This is not to disparage economists – not at all. They really do try to come up with the best possible policies – but the range of policy alternatives is constrained by the economists’ (and the general society’s) belief system. If you believe in a Keynesian world, then you will prescribe lower rates and more fiscal stimulus during times of recession. There are other competing theories, each with its own model of how the world works. There is convincing logic and a believable rationale behind each theory. If we had adopted an Austrian model in 2008–09, we would have had a much deeper recession and unemployment would have risen higher, but the recovery would theoretically have come more quickly as prices cleared and debt was resolved. However, that period of time before the recovery began would have been devastating to the millions of families who would have faced even more crippling unemployment than we saw. That is an experiment we did not conduct, so we will never truly know whether that path might have been less painful in the long run. Austrians are willing to face a series of small recessions as part of the price of maintaining a free economy, rather than postponing recession and trying to fine-tune what is supposedly a free market economy by means of monetary and fiscal policy. An analogy would be the theory that allowing small and controllable forest fires today might prevent a large, utterly devastating forest fire in the future. Nassim Taleb’s important book Antifragile makes a strong case that businesses, markets, and whole societies are much better off if they allow relatively minor random events, errors, and volatility to correct as quickly as possible rather than continually patching them over to avoid short-term pain. Decentralized experimentation in the economy by numerous complex actors capable of taking risks works better than a directed economy that encourages the buildup of excessive risk throughout the entire economy. The problem is, there really is no one clearly right answer as to which economics belief system is best. I know what I believe to be the correct answer, but that belief is based on the way I understand the world – and the world is vastly more complex than anyone’s theory can be. No theory allows for a perfect solution for all participants. Rather, each theory picks winners and losers, with the overall objective of creating an economy that has maximal potential to grow and prosper. So this is what it comes down to: The reigning academic theory/belief system is Keynesianism. The head Keynesians are signaling that they are going to give us negative rates. In fact, according to their theory, it would be irresponsible not to do so. They believe that if they sit back and allow the economy to sort itself out, the outcome would be far worse than anything that could be wrought by the intended and unintended consequences of negative interest rates. We can differ with those in charge, but the experiment with negative rates is going to happen, and we need to begin to adjust – to think through how to position our portfolios and our investment strategies, our businesses, and our lives. The Fed is run by True Believers. Just as Christianity or Islam or any other religion has believers that range across a spectrum of faith and beliefs, so does Keynesianism. At the Fed, these are deeply held beliefs: our central bankers are well convinced that the facts demonstrate the validity of their belief system. I am reminded of the apologetics courses that I took in seminary (yes I graduated from seminary in 1974 – go figure). Apologetics courses basically teach you reasoned arguments in justification of a particular view, typically a theory or religious doctrine. We would look for logic and evidence that our particular version of Christianity was the correct and true position. Apologetics gave us the techniques and facts that would back us up! I am not really trying to equate religion and economics, but I am saying that both rely on belief systems about how the world works, and that the behavior of believers is modeled on those systems. Paul Krugman tells us that fiscal stimulus and quantitative easing didn’t give us enough of a recovery simply because we didn’t do enough. If we had just believed more, had more faith in the effectiveness of Keynesian doctrine, we would now be well on our way to the economic promised land! The fact that neither Europe nor Japan nor the United States have seen a recovery – that much of Europe is either in recession or on the borderline of recession, that Japan is dealing with severe deflationary pressures, and that the US is visibly slowing down does not create a question in Keynesian minds with respect to the correctness and effectiveness of their policies. I believe that both Japan and Europe are going to double down on quantitative easing and negative rates in their respective countries, and the US will soon follow. I am glad I am not a central banker. The pressure to “do something” in the midst of a crisis must be horrific. To feel a responsibility and not be able to respond would be emotionally draining. I do not envy any of them. I think my own current belief system would probably take us in the optimal direction over the long term, but I can assure you that in the short term quite a few of my fellow citizens would not be happy with the process. And whether it is I or the Keynesians selling a particular theory, promising people pie in the sky doesn’t help them much to deal with the problems they face here and now. The fact is that all of these economic theories have at their core political views about how the economy should be organized and managed. Including mine. That doesn’t necessarily mean mine is right and theirs is wrong. To determine the “rightness” of a theory, you generally try to conduct controlled experiments that give reproducible results. That kind of gold-standard research is simply not possible in today’s world. So we actually are forced to rely upon our pet theories as to how the world works. I am certainly not a believer in moral equivalency, but until one operative theory is thoroughly discredited (as communism was) it can remain the controlling theory for a long time. I have a lot more to say and will do so in the future, but this letter is getting overly long, and I need to close it. I leave you with one of my favorite Yogi Berra quotes: “In theory there is no difference between practice and theory. In practice there is.” In theory the economy should respond to stimulus, and an economy that is demonstrably overburdened with debt should be pushed to increase that debt. In practice, the outcome may not be quite as salutary as the theory suggests. Adjust your world accordingly. Feb. 28, 2016, 8:58 a.m.
Feb. 27, 2016, 1:32 p.m. Finally got to read these Thoughts this morning. Been reading John for over 10 years and this is one of the best letters. Thank you for explaining central bankers dilemmas and beliefs. Agree the central bankers are short of options since our deadlocked congress are not economically educated, or follow Keynesian theories. The religious orthodoxy is a great metaphor. What we need is a more straightforward corporate tax with less deductions, and to encourage companies to bring international funds home. A tax ammesty would not hurt either. Ireland is doing well for example. The administration and congress need to understand they have cut economic growth by 1 - 2% by regulation. We need clear rules that can be followed without going to court every time. A policy of reviewing costs of new laws before they are passed would help as well. Small businesses are the lifeblood of the American economy. If it is not easier to start businesses, the economy will be hurt. Favoring large businesses by regulation is one of our current errors. Feb. 26, 2016, 4 p.m.
Over time, spending on unproductive assets is deflationary. Almost all government spending is on unproductive assets. Regulation is deflationary. Increasing taxes is deflationary. Though productivity is great, it is also deflationary. Borrowing more just delays the deflation until the borrowing cannot be sustained. The only real sustainable solution is to reduce the burden of government on producers. Payroll tax reduction. Marginal tax rate reduction. Regulation reform. Feb. 25, 2016, 12:40 p.m.
People, wake up. John, wake up. The Dow was 1,000 US silver dollars in 1966 and is 1,000 US silver dollars in 2016. Wall Street and the Fed, have taken over the US money supply on August 15th, 1971. We are slaves of counterfeiters. We have to let the system act without Wall Street as high priests drunk on power. Debt is not money. It’s a debt bubble. In real silver coins nothing has happened. Houses were 10,000 silver dollars in 1966 and houses are STILL 10,000 silver dollars in 2016. Wall Street has counterfeited prosperity for Wall Street bankers, brokers, owners, and government employees. Main Street children, families, renters, and employees have been milked, fleeced, and harvested. We need honest money, not debt that is manufactured by bankers and passed off as money. Debt notes and computer credits are not money. Only gold is money. Good luck. Feb. 24, 2016, 3:23 p.m.
What concerns me the most, is that the real problem is the inability of the world economies to grow. The Central Banks can do what ever the want, but the worlds growth engine is flooded and it will not start. NIRP, ZIRP, and QE what ever prove that. Demographic problems and debt overhangs are not going away, they get worse every day. Feb. 24, 2016, 8:40 a.m. The parallel between religion and what has become orthodox economics is a good one. The dangers are similar, as well. A sensible religion believes that God will somehow work things out if we just have faith, and if we don’t get what we want then He has, in his infinite wisdom, determined that what we want is not for the best. An insane cult, however, determines the outcome that it expects. If God doesn’t meet the leadership’s expectations, the someone has been doing something wrong. Which of course must be corrected by whatever means available. If the epiphany hasn’t arrived by the predicted date, tell everyone to commit suicide because there’s a flying saucer hiding behind a comet that will take them all to paradise. I’ll leave it to the reader to determine which is closer to the modern Fed. Feb. 23, 2016, 8:37 a.m.
You might have that one wrong. The governments had better “screw around with” the bloated pensions they have promised the public service unions or there will be a huge backlash from the general population. The governments’ only alternative would be to tax citizens to pay for these unfunded and underfunded political promises. I have observed that real estate values in rural PA are lower in many places than in 2000. Those same homes have had their taxes more than double. Why the people haven’t grabbed the pitchforks yet is beyond me. Sheep I guess, but they will eventually wake up. Feb. 23, 2016, 7:22 a.m. If you want to keep people from retiring and thereby prevent young people from finding good jobs then low interest rates are for you. If you can’t get a decent low risk income stream you can’t retire unless you want to live on SS and eat dog food. There’s no way pension funds can stay alive. I recall a friend who told me in 1993 that he planned to save up $1M, put it in the bank, and live on $50K/yr. He’s still working despite saving more than $1M. People who ran their retirement calculators in 2000 and plugged in 5% for a savings account got flushed back into the job market in 2008. Right now it would require 10x as much to get the same income stream as in 2000. That delays retirement. If the older folks aren’t retiring that reduces opportunities for the young. It’s the young people who spend. They marry, have kids, buy houses that need to be furnished, etc. They buy minivans. The kids need food and clothes and school supplies. Without job opportunities that gets delayed and thus spending is delayed. Meanwhile potential retirees realize they need a lot more money than they thought and instead of spending they’re saving. Negative rates will only make this worse. NIRP will be intensely unpopular. You can already see the backlash in countries with NIRP. Safes are sold out in Japan. Pair that with a war on cash and see what happens in a country like Germany, which must be populated by drug dealers and other criminal money launderers since 80% of purchases are done with cash. NIRP and no cash, plus a 3% hit on credit card fees . . . wow. Feb. 23, 2016, 1:20 a.m. The problem with creating a crisis atmosphere is that you create a crisis—Yogi Berra, I think. Six years and counting of zero or negative real interest rates out to 4-5 years is only a quiet crisis. Savers are saving more, if possible, to make up for low rates. If rates officially take cash out of savers’ accounts, the government might as well scream crisis from the top of the Capitol Building. People will buy food and utilities. No car, no house, no clothes, nothing, unless they are half price. There you have crisis: a severe recession, deflation, and possible rebellion against government theft and a trashed currency. At zero rates, the economy is coming down to the interest rate, zero. At negative rates, the economy will come down to the interest rate, negative. That is theory in practice. Feb. 22, 2016, 11:19 p.m.
What I find so depressing is we keep looking to the Fed to save us, when they created the mess (s). Why are we so forgiving of poor performance and doublespeak. I do not see this election changing any of this and in fact will probably continue to worsen. I am looking forward to your thoughts on solutions to our portfolios with NIRP.